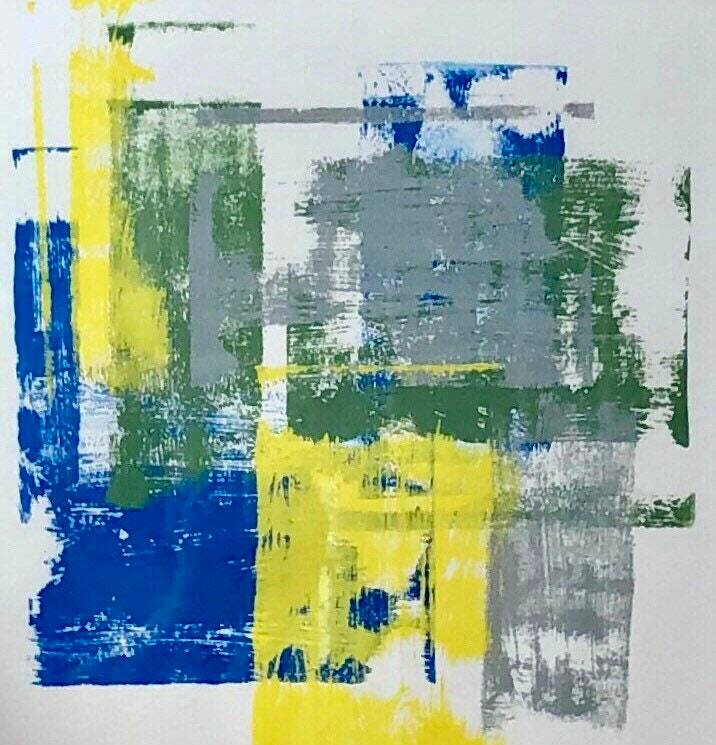 Abstract: blue, yellow, green and gray paint on paper. 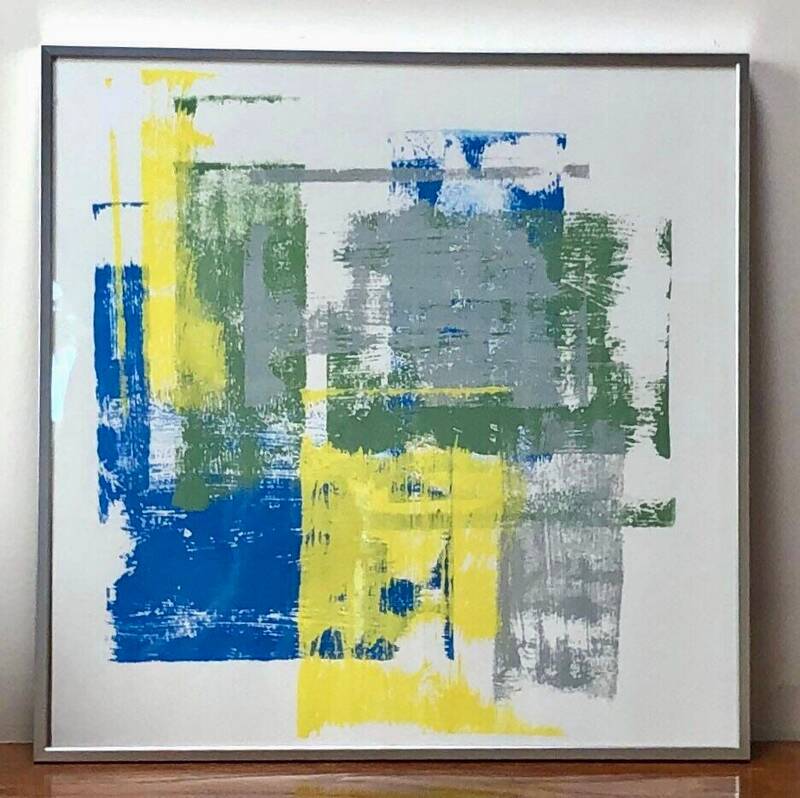 This framed art is made with paint on paper in blue, yellow, green and yellow. 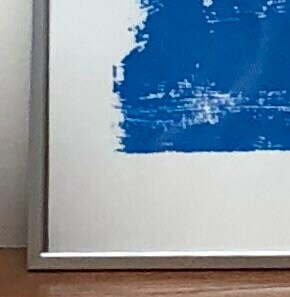 It is an original signed and ships as shown with a silver frame that measures 16” x 16”.